Update a recipient's call time and assigned role inside the Call Sheet Builder. Talent and crew show up to set at different times depending on the scale of production. Alternatively, you may want to set a call time for an entire department, instead of adjusting each individual’s time. 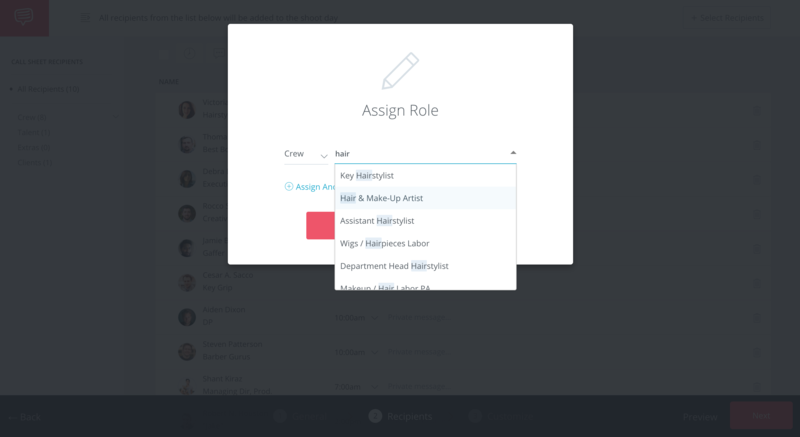 On the Recipients step inside your Call Sheet Builder, and click on a crew member's role. Change the recipient's role or assign a new role, then click Save Roles. 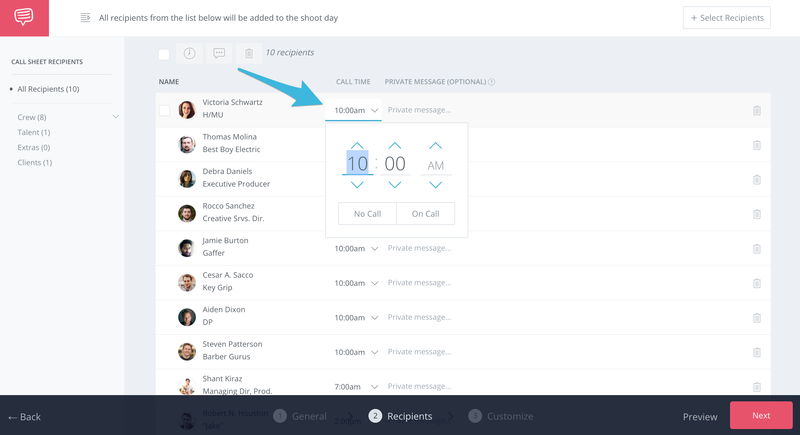 On the same page, click on the recipient's call time and select a new one. Tip: All changes are automatically saved when updated.